This paper will outline specific, identifiable and repeatable growth stages of the cross-domain bacteria (CDB) and its associated forms. It will be seen that a wide variety of growth forms will ultimately emerge from what appears to be a simple, non-descript spherical living entity; as such the term 'pleomorphic' is fully justified in this presentation. This is the case even when the study is restricted to the most primitive form of existence (i.e., the CDB) and this sets the stage to for us anticipate a high level of survivability and adaptability for the organism. Thus far, this has certainly been proven to be the case, as the means to eradicate or destroy the organism in any meaningful way appears to be unavailable under the current state of knowledge. 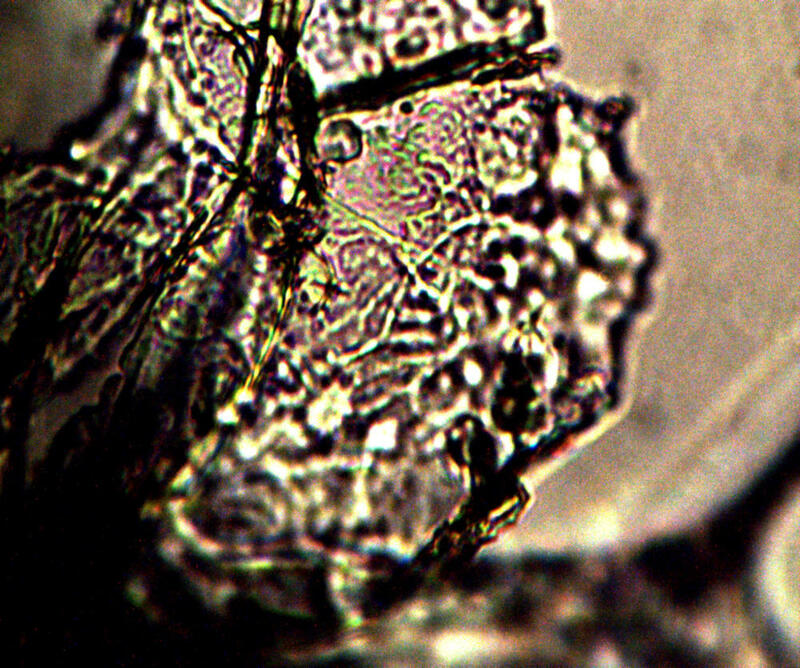 Substantial evidence exists which proves not only the existence and presence of the "Morgellons" pathogen, but also how this organism uses iron from our blood for its proliferation and growth. This pathogen changes the iron in our blood from its ferrous form (Fe2+) to a ferric form(Fe3+). This change has a direct, negative impact on human health. The iron in human blood must be in the ferrous form in order for it to bind to the oxygen molecule. If our blood is not in this state then it will not bind to the oxygen molecule and human health will suffer. Proposed mitigation strategies are discussed. 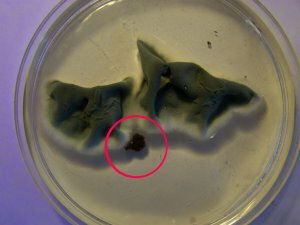 Analysis shows that the primary organism (or pathogen) characteristic of the "Morgellons" condition, as isolated and identified by Clifford Carnicom, causes a significant biochemical change in the nature of human blood in which it resides. The dramatic change in the character of the blood has been presented through visible observation for several years, but this change is now objectively and directly measurable through the use of spectral analysis, and these changes are graphed and discussed in this paper. This change in the general character of human blood, as it has been measured from several individuals, is regarded as highly significant and expressive of a potential fundamental change in the human condition. 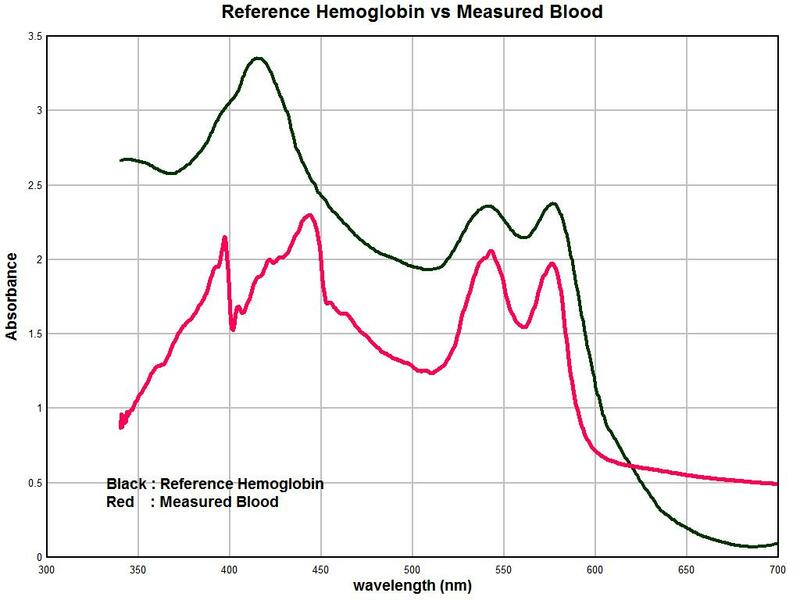 Normal hemoglobin is analyzed under a spectrophotometer, and then graphed with different levels of concentrations of the organism. All matter reacts in a unique fashion to electromagnetic energy which, in this case, is visible light. Hemoglobin, (the primary protein in human blood cells), has such a unique and characteristic spectrum over the visible light range, and witnessing such dramatic alterations of the blood from this organism as compared to unaltered hemoglobin in these graphs give a sense of urgency for not only further research in this area, but also to alert more people to what is going on and to inspire action to be taken to get these organisms located and stopped. A NEW FORM : FREQUENCY INDUCED DISEASE? 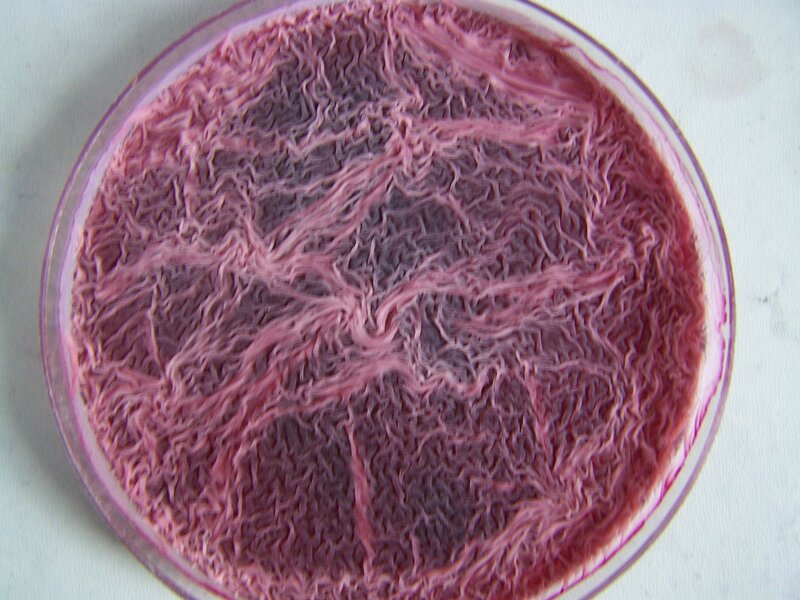 A new, or modified, form of cultured growth has been developed from human oral filament samples that are characteristic of the so-called "Morgellons" condition. One of the more important findings of this current research is that the application of certain frequencies, or their harmonics, may play a highly significant role in the various manifestations (rate of growth, etc.) that the underlying "organism" may assume. The discovery reported here adds a new layer of complexity to the research that has been discussed on this site. 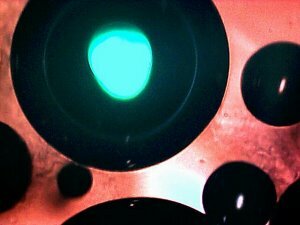 The circumstances of growth are identical to that of previous work, i.e., the introduction of human oral filament samples within a red wine base; what differs is the illumination of the petri culture dishes with light of a specific frequency chosen from earlier absorption analysis. It will be noticed that a strong and sharp absorption peak at approximately 375 nanometers (nm) has been identified in the previous Carnicom report titled ' THE BIGGEST CRIME OF ALL TIME’ (dated March 1, 2011); this corresponds to the blue portion of the visible light spectrum. 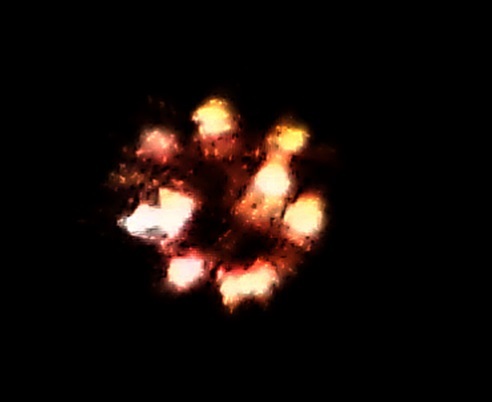 The phases of this explosive growth from this sample being subjected to this light frequency is imaged and presented on this page. Clifford Carnicom continues his work and assertions toward the reality that it is falsehood to make the claim that the so-called "Morgellons" condition is a highly restricted situation that affects only a few individuals that happen to manifest a certain set of skin conditions. 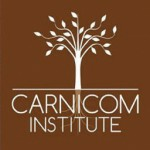 To the contrary, Carnicom's work and research show that the general population appears be to subject to the condition and that the criteria used to establish its existence should be focused on biological change and manifestations WITHIN the body: i.e. - that filaments that occur within the body and the alteration of the blood are more suitable criteria upon which to establish the presence or absence of the Morgellon's condition. Samples of blood and saliva are tested at the end of this paper, with images showing the tests involving a 37 year old man, and an 8 year old child. The blood testing shows definite blood cell wall damage in both the participants' samples, with these images shown in this paper. A partial summary of the research accumulated through this site on the so-called "Morgellons" issue is presented in this work. These summaries include fascinating, if not disturbing, details of the many years of work that Clifford Carnicom has put into his research that include the fact that: all individuals who participated in this research exhibit internal biological filaments and blood anomalies; the cultures produced from the internal biological filaments (dental samples of those participating in this research) have been shown to produce an erythrocytic (blood) form; and that the production of erythrocytic forms within direct biological filament samples and by culture is completely outside the known boundaries of conventional science and biology, and that it is repeatedly evident that these same erythrocytic forms can withstand (and even flourish in) extremely adverse environmental, chemical and thermal conditions. 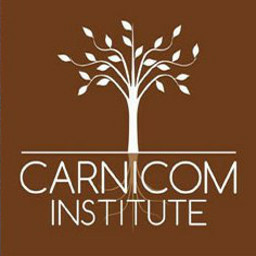 Many more details are provided in this long list of things known about Carnicom's work in this area. 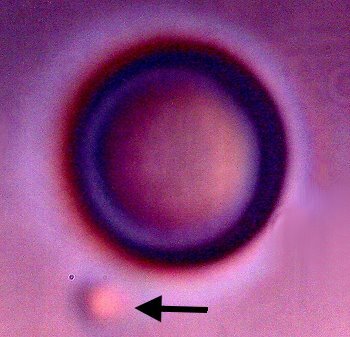 Strong evidence now exists that an artificial or modified blood form is a dominant internal component, if not the dominant component, of dental filament samples that are commonly associated with the Morgellons condition. The sample set of this report is relatively small and it must be extended. There is a remarkable consistency in the detailed observations and reports that have been made over a period of several years. This paper reaffirms the position of Clifford Carnicom that blood conditions and/or alterations appear to be at the crux of this situation. It is quite clear what type of work must be done to address the gravity of this situation, but additional resources must become available for this to take place. The current work now introduces the very real prospect or consideration that an artificial, or deliberately modified, process of the blood may have been introduced into the human condition. Elevated levels of research, aggressive involvement and appropriate resources must be dedicated and allocated to initiate progress on the many serious issues that have been disclosed. This paper discusses and presents applications of three independent methods established that appear to confirm the presence of developing modified erythrocytes (red blood cells) within cultured dental samples. 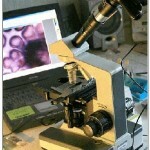 These samples exhibit the characteristics of the Morgellons condition as previously researched and identified. All individuals tested thus far have produced the dental filamentous materials, regardless of whether visible skin anomalies are present or not. The erythrocytic detection methods are: 1. 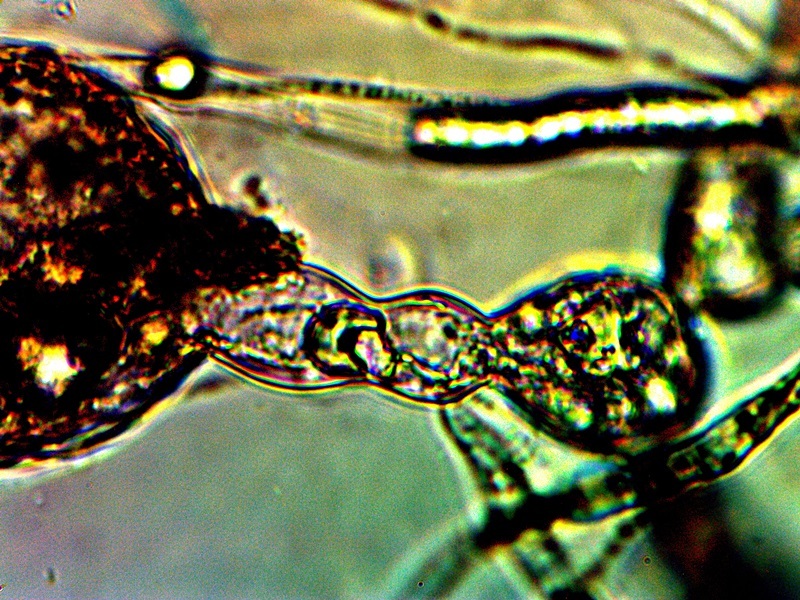 Direct observation under the microscope at relatively high magnification (8000x - 10000x) using developed microscopy techniques. 2. 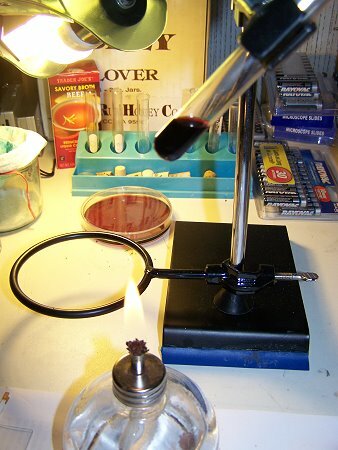 The use of the Kastle-Meyer presumptive test (visual and microscopic, sensitive test) for blood, a method commonly used in forensics for blood identification. 3. The HEMASTIX (TMP) presumptive forensic test (very high sensitivity) commonly used for blood identification. Two sets of photographs from separate photographers in North Carolina have been sent in to Clifford Carnicom and have been posted on his website. 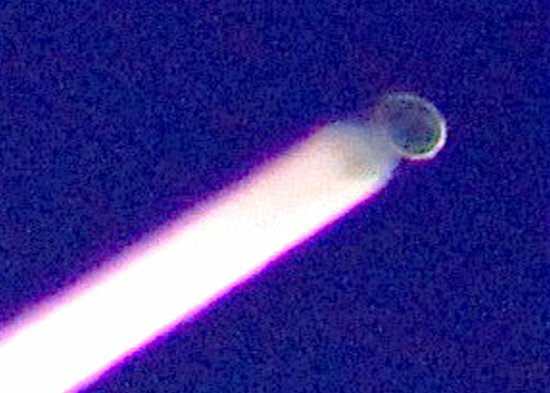 The photos in both cases show unusual ring-shaped or disc-like objects. The photos in one case are quite clear and remarkable. The fact that the second set was even captured is also fortunate. A statement from the photographer in each case will follow the images that have been submitted. These photographs raise several questions about at least some aspects of the aerosol operations and they appear to defy any conventional perception of aircraft. The accompanying "emission trail" with the ring like structure of the first set is especially curious. 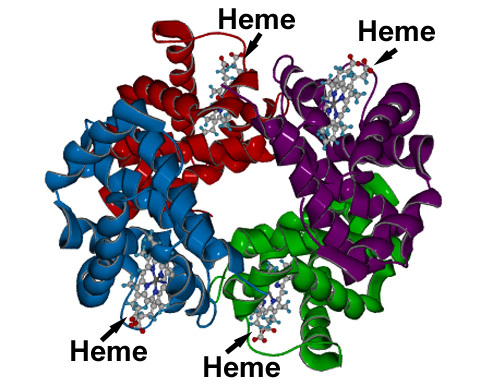 Research on blood samples from numerous individuals continues in this paper, and there are three main points up to this time in the study of anomalies found in the blood of these people: 1) The preliminary assessment on the nature of the two primary structural forms within the blood appears that Chlamydiae or Chlamydiae-like organisms could be the leading candidate for investigation in the Morgellon's pursuit as well as in the investigation of the aerosol operations. 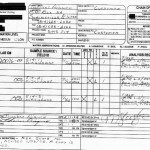 Readers may wish to review the Carnicom paper titled ’MORGELLONS: AGENTS OF INFECTION’ (dated January 1, 2008); 2) The vast majority of blood samples observed are showing various degrees of anomalous form, and the degree of this damage appears to correspond directly to the number of anomalous structures that are found in any individual sample; and 3) The anomalies in the blood samples have transcended age....they have now been observed in the same form within the blood of a nine year old child. Microscopic images of this young child are provided in this work in support of the above claims and observations. 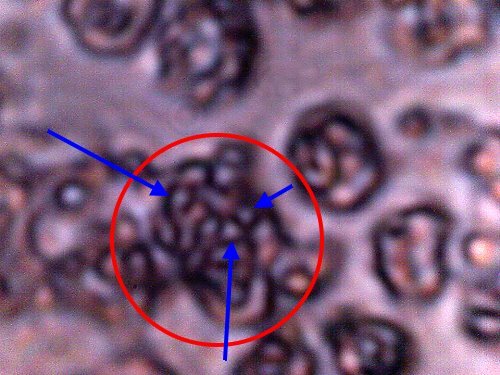 It can be noted in the images presented that cellular integrity damage is apparent in these photographs and sub-micron structures are often visible, and the degree of cellular damage appears to correspond directly to the number of chlamydia-like structures within the blood cells. Further microscopy analysis of biological materials collected with HEPA air filters is presented here, as a continuation of roughly five years of similar study by Clifford Carnicom. 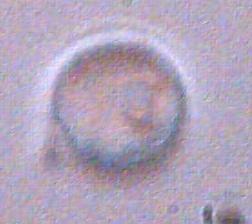 Pictures of biological growths in petri dishes after various incubation periods are attached for consideration by others in identifying these biologicals. Of note is the striking difference between the control group growth, which remains constant over time, and the cultures developed from HEPA-weak saline solution that continue to flourish. Heavy Aerosol Operations in Albuquerque and Santa Fe on March 10, 2004. Time of video is approximately at sunset.